This match makes the list by virtue of an epic 32-point game in the set. At 5-5 with Vicario serving, the Spanish and German rivals embarked on a 20-minute tussle for the 11th in which there were 13 deuces. Eventually, Graf broke before holding serve for victory. One of the great rivalries in women’s tennis history saw these two meet an astonishing 60 times in tournament finals. Their 1978 Wimbledon clash was perhaps the pinnacle though, with Evert taking the game to Navratilova from the outset. A fantastic fight-back from the Czech star saw her claim a 2-6, 6-4, 7-5 victory though. A fairytale final that pitted a woman who’d never won a senior grass-court match before 2010 against a glamour girl making her first Wimbledon final appearance since 2004. 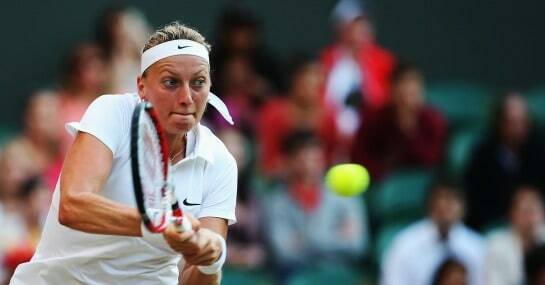 As it was Kvitova, who is 7/4 to win this year, that sealed the title, clinching her 6-4,6-3 victory with an ace. The two hours, 45 minutes this final lasted is the longest in women’s Wimbledon history and saw Williams become the lowest seed to win the title at 14. Then world number one, Davenport had a match point on Williams’ serve at 4-5 in the third set. Williams saved it before storming through to take her third grass-court Slam.